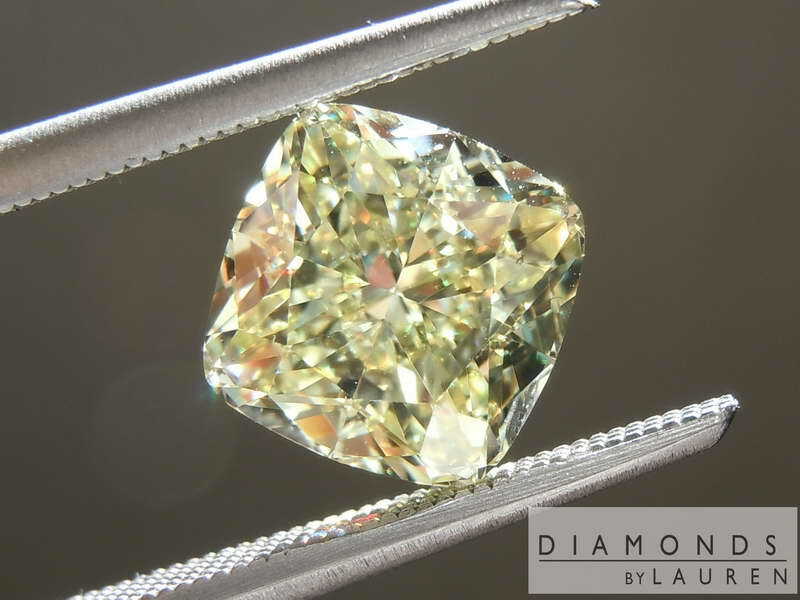 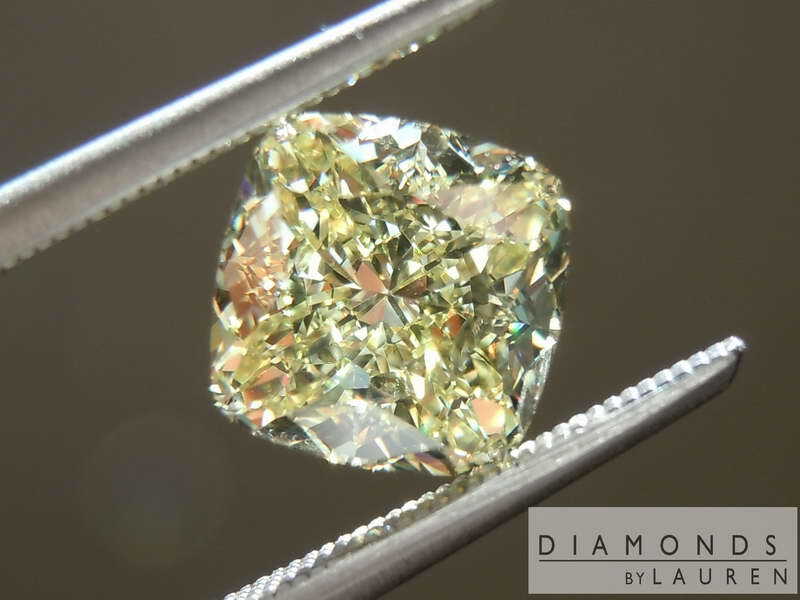 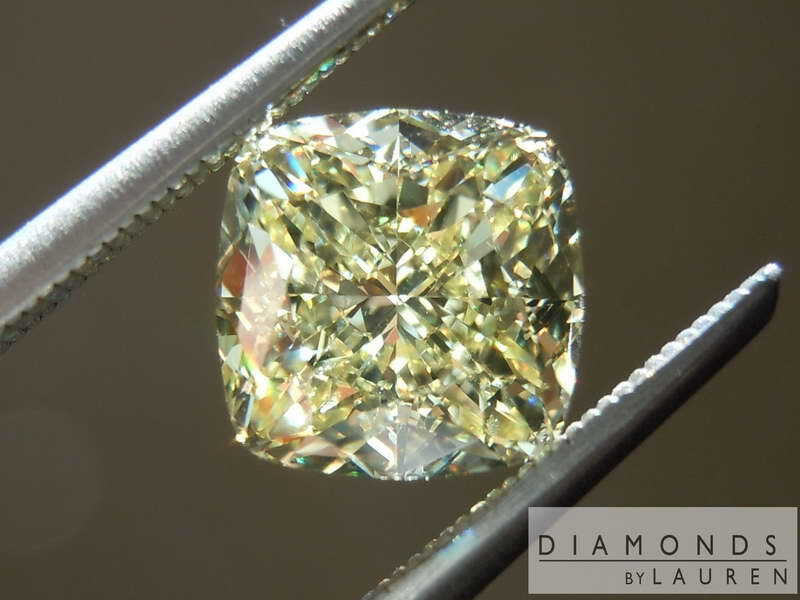 Here is a sweet Fancy Yellow Internally Flawless Cushion Diamond. 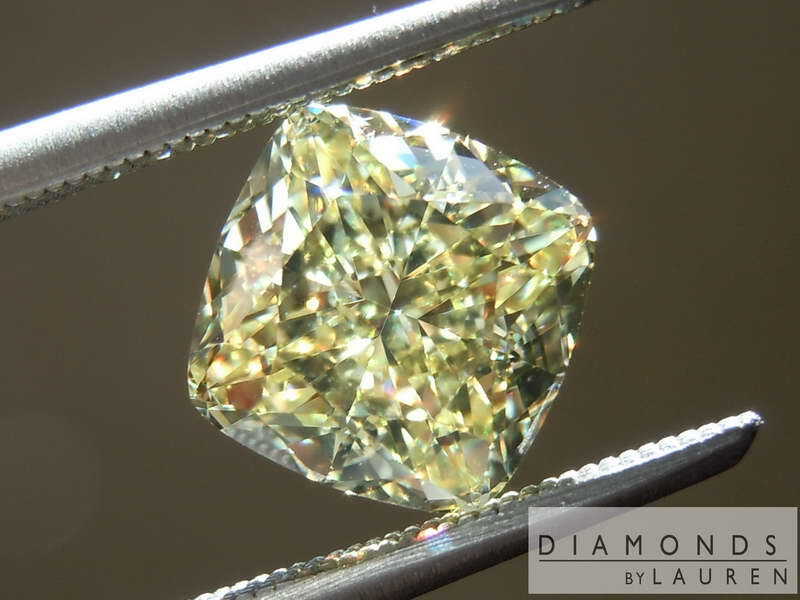 The cut is commensurate with the impressive clarity grade. 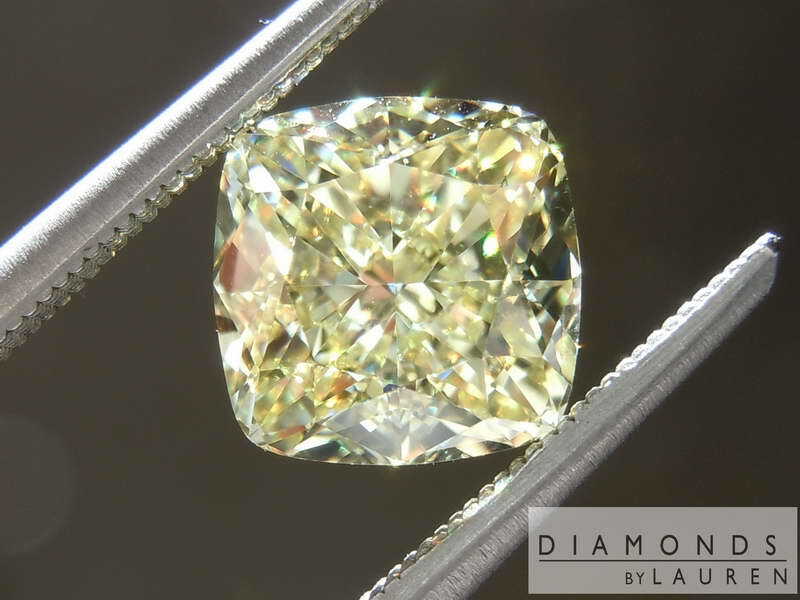 My good buddies, that cut this gem, are remarkably adept with fancy colors. 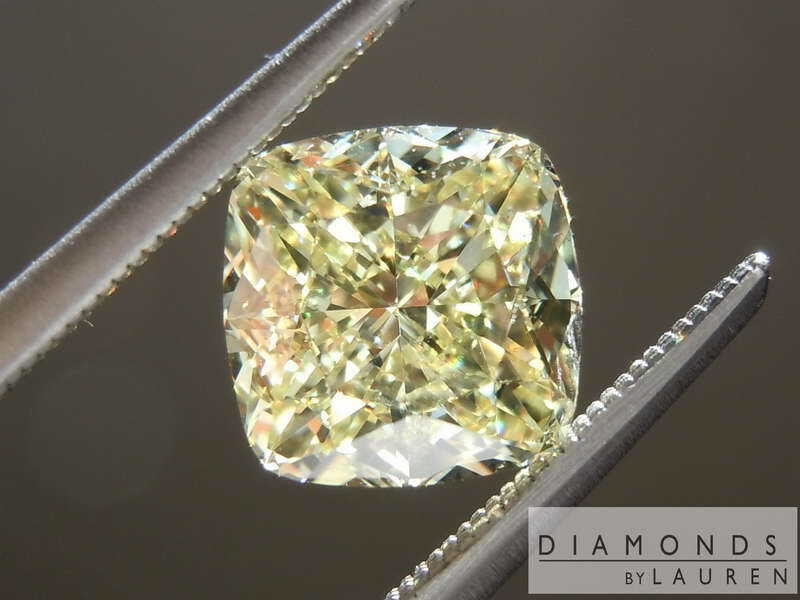 The stone has a gorgeous even color - strong Fancy Yellow. 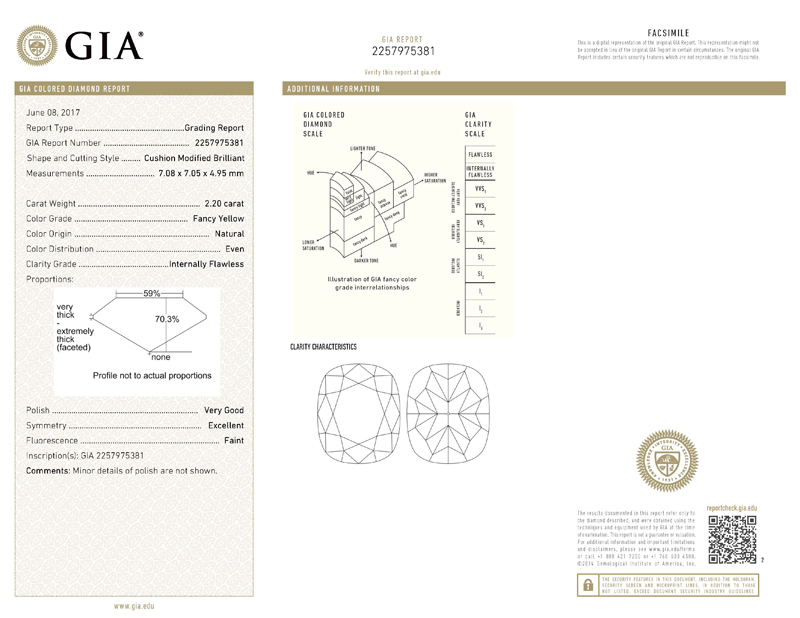 The stone has a small table with a nice crown. 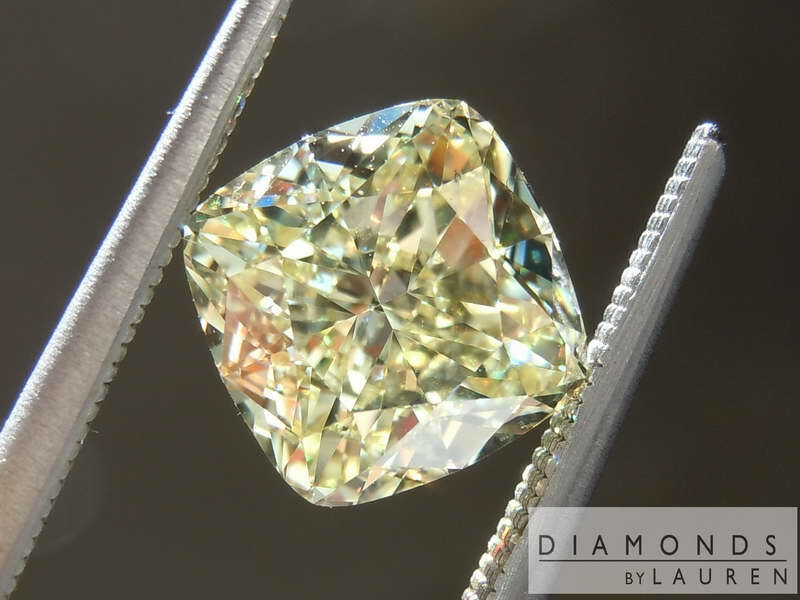 Also meticulous care with Polish and Symmetry. 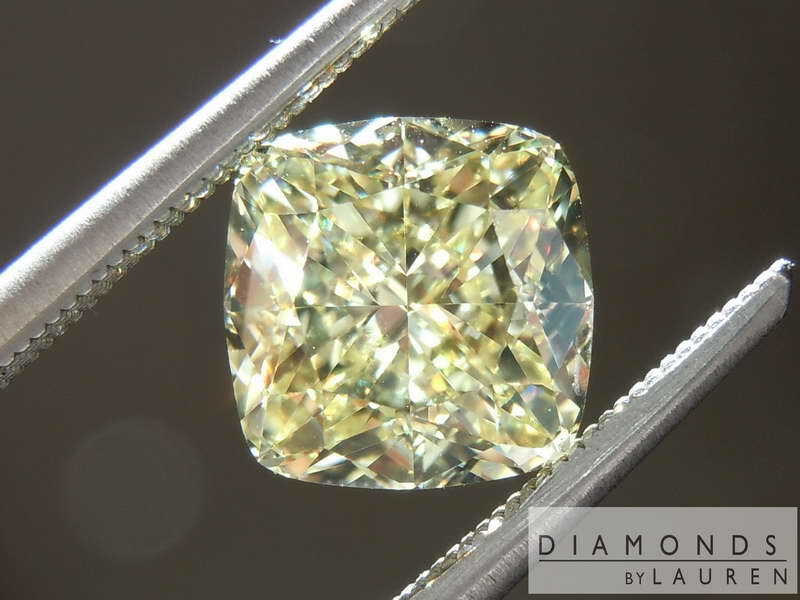 The Faint Fluorescence is a non issue with this particular diamond.